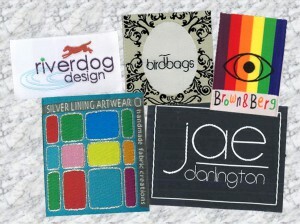 customized clothing labels Archives - ThirtySevenWest ThirtySevenWest - Creative ideas about personalized custom ribbons, woven tags and labels, personalized gifts and more!!! 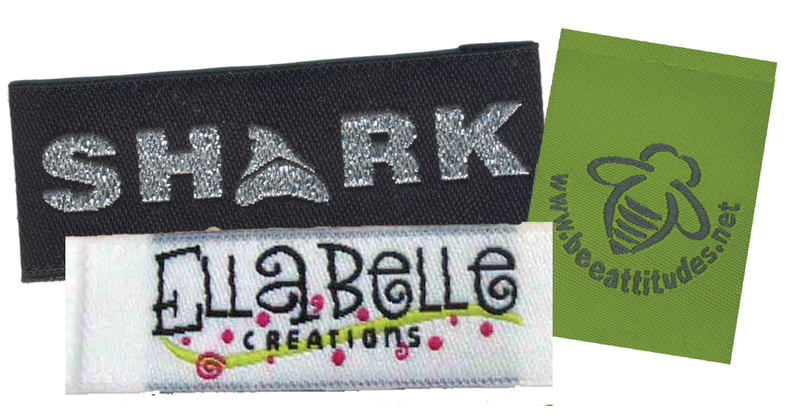 When making a choice for custom clothing labels for your designs and garments, there is a wide range of labels to choose from. If you want to personalize a hand-made garment, or label a back pack or hat, iron on labels offer a fantastic and quick solution, however, if the label is attached improperly, it won’t hold. Knowing and carefully following the correct application process will ensure that the label will outlast numerous washings and dryings. Your unique clothing label is a reflection of your business and your artistic identity, and the quality of your fabric label will make a lasting impression on anyone who sees your garments. 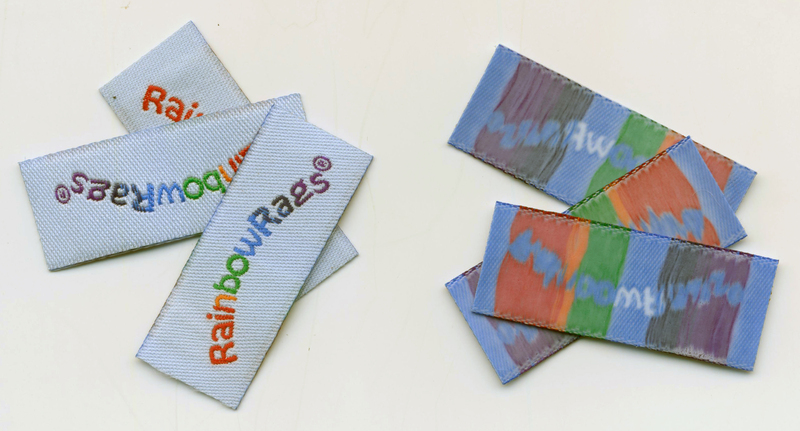 A garment tag possesses the singular ability to proclaim your product quality standards and solidify your company’s reputation for durable and distinctive clothing. Developing the perfect customized label for your signature fashion creations can be an intimidating process, but clothing entrepreneurs understand the important significance and permanence created by a garment label. It becomes your identifying namemaker, it announces authorship, and its quality marks your appreciation for everything that is done well. Believe it or not, clothing label tags are not only used by large fashion companies to identify the designer and provide the care instructions of a garment, there are many outstanding, yet overlooked purposes for which they can be used! 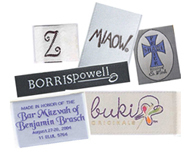 Personalized fabric labels can serve as a business card on a handmade garment, contain instructions for fabric care procedures, or serve to identify a specific designer; however, personalized labels have other uses as well, such as in garment ownership recognition and unique gift giving. Entrepreneurs need support services, and at Thirty Seven West we understand that fact intensely. Started as a small business enterprise, and truly, still operating under those principles, we thoroughly appreciate every order we receive and strive to provide an excellent product that exceeds your expectations. Because we believe in what we do, each customer benefits from our unparalleled customer service and enthusiastic desire to help your start-up garment business become your well established name brand clothing line. Our dedicated representatives will be happy to guide you through the custom woven label ordering process, offer sound advice on the latest trending label designs, and diligently work with you to create an unforgettable garment tag. Your success is important to us because we rely on repeat business. Especially in today’s fluctuating marketplace, with its global competitors and frequent instability, we understand that you need affordable, quality options for marketing your business successfully. That is why we offer so many personalized label choices for emerging entrepreneurs. 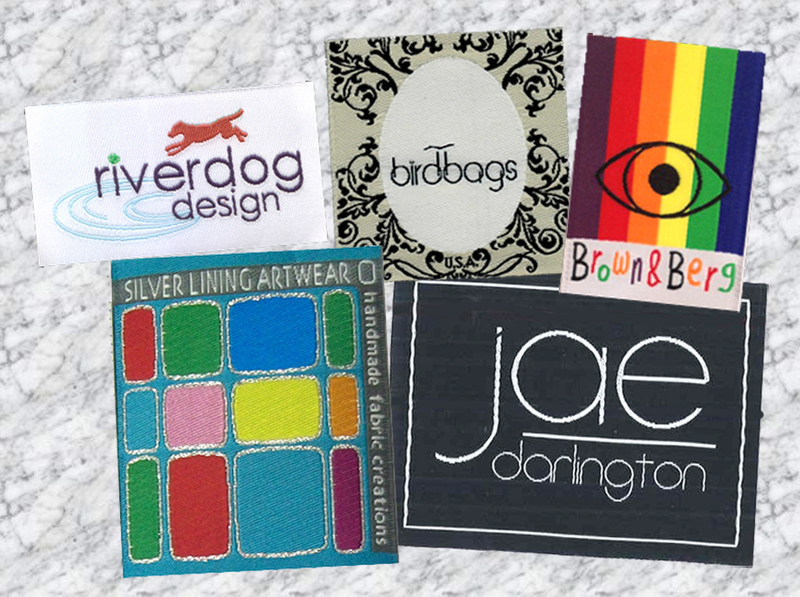 You can view our extensive selection of custom woven label ideas, see a huge variety of pre-designed fabric label collections, or decide on a semi-custom look for your clothing tag. But if you begin to feel a bit overwhelmed, don’t sweat it, just give us a call or drop us an e-mail and we’ll be glad to take the one-on-one time to ensure that you are choosing the best value and option for your business. Whatever your fabric label budget and whatever your business need, at Thirty Seven West we promise to work to help you find the best label option for you that will maximize your marketing potential and help drive customers to your door. And when your brand name has become a fixture in households across America or part of our collective culture and society, we know that you’ll continue to choose our company as your premier label supplier.